For many critical applications ranging from health care to social sciences, releasing personal data while protecting individual privacy is paramount. Over the years, data anonymization and synthetic data generation techniques have been proposed to address this challenge. Unfortunately, data anonymization approaches do not provide rigorous privacy guarantees. Although, there are existing synthetic data generation techniques that use rigorous definitions of differential privacy, to our knowledge, these techniques have not been compared extensively using different utility metrics. In this work, we provide two novel contributions. First, we compare existing techniques on different datasets using different utility metrics. 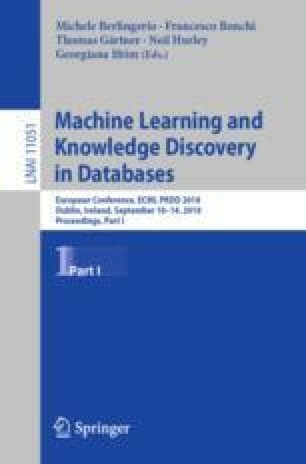 Second, we present a novel approach that utilizes deep learning techniques coupled with an efficient analysis of privacy costs to generate differentially private synthetic datasets with higher data utility. We show that we can learn deep learning models that can capture relationship among multiple features, and then use these models to generate differentially private synthetic datasets. Our extensive experimental evaluation conducted on multiple datasets indicates that our proposed approach is more robust (i.e., one of the top performing technique in almost all type of data we have experimented) compared to the state-of-the art methods in terms of various data utility measures. Code related to this paper is available at: https://github.com/ncabay/synthetic_generation. The research reported herein was supported in part by NIH award 1R01HG006844, NSF awards CNS-1111529, CICI-1547324, and IIS-1633331 and ARO award W911NF-17-1- 0356.